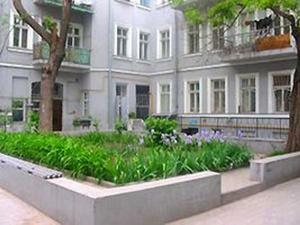 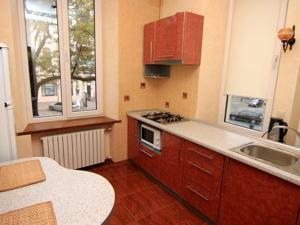 Renovated 1-bedroom Odessa apartment in historical center of Odessa at 1 Sobornaya Square just minutes walk to Deribasovskaya Street where you can find a lot of bars, restaurants, shops and other entertainment. 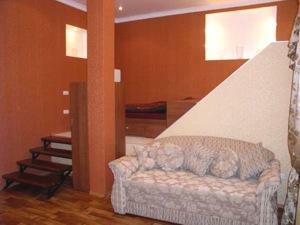 Second floor of 4 storey building (there is a ground floor also). 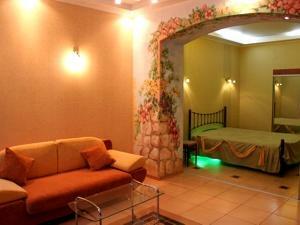 Entrance to 4 flats for rent (2 1-room apartments and 2 1-bedrooms). 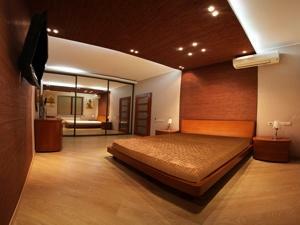 A fresh western-style renovation. 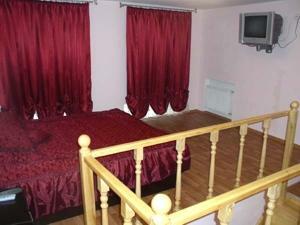 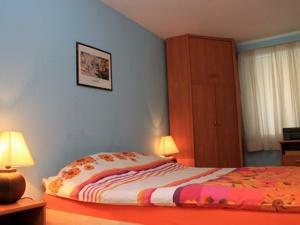 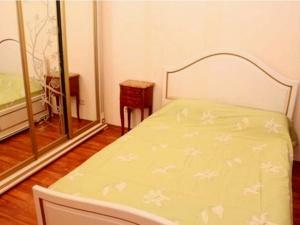 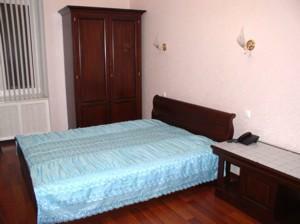 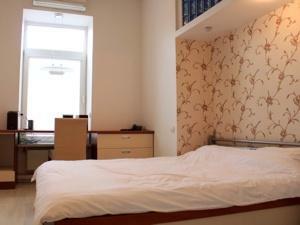 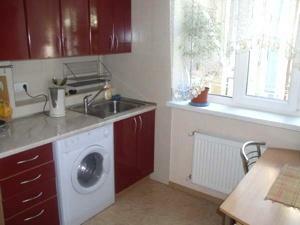 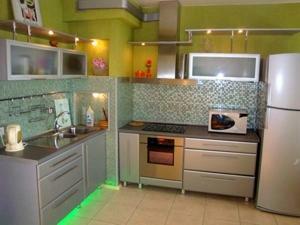 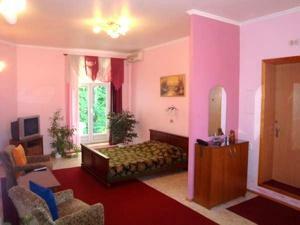 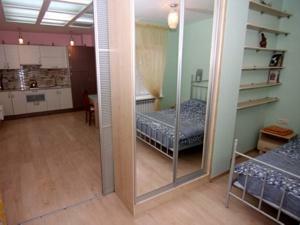 This charming flat has two spacious rooms. 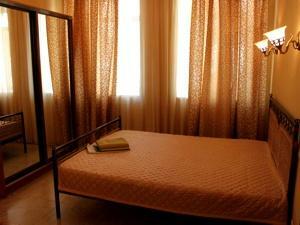 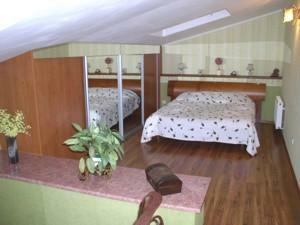 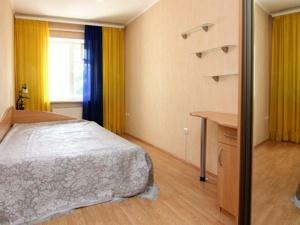 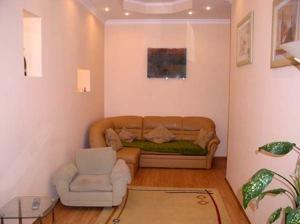 The interior of two rooms is done in very warm colours. 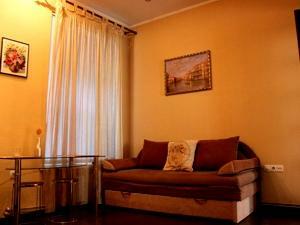 You can enjoy the pleasant atmosphere of comfort here. 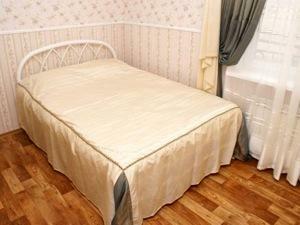 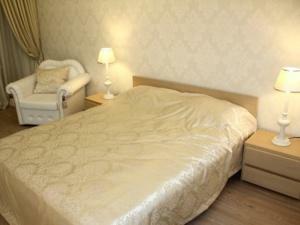 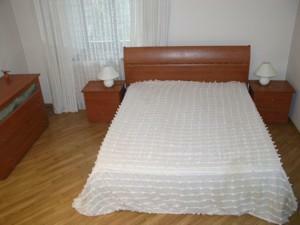 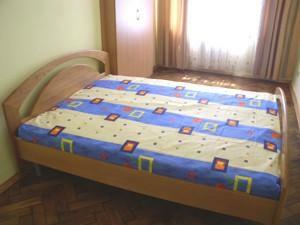 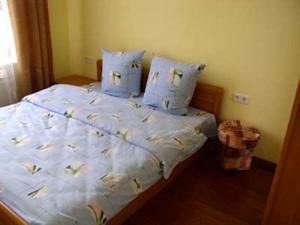 There is a wide bed in a bedroom with wooden bedside tables near it. 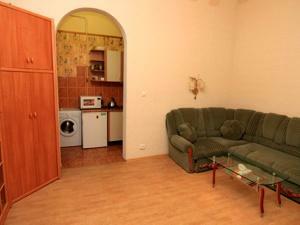 You’ll find a fitted wardrobe and a comfortable chair in this room. 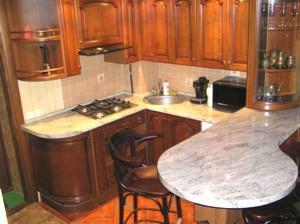 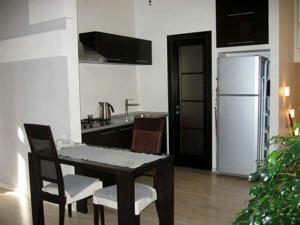 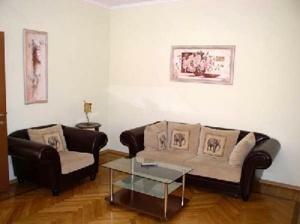 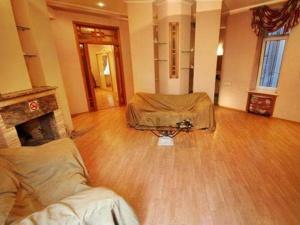 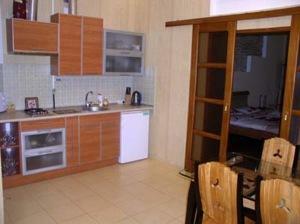 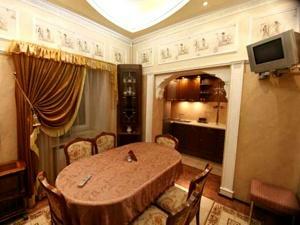 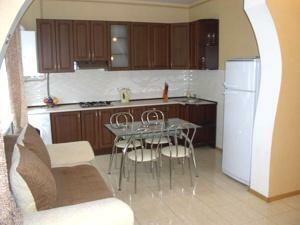 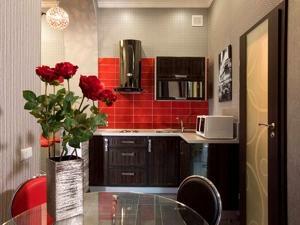 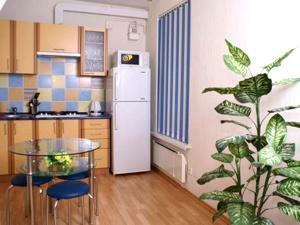 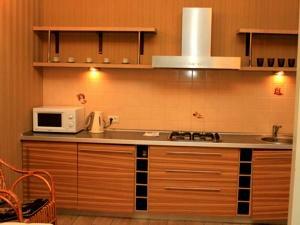 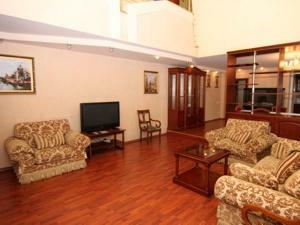 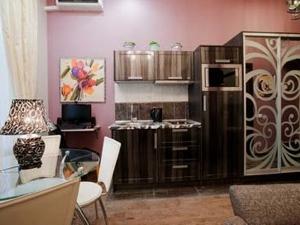 The living room is also cozy with a small dining area where there is all necessary kitchen stuff. 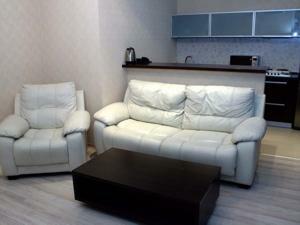 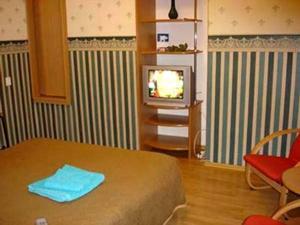 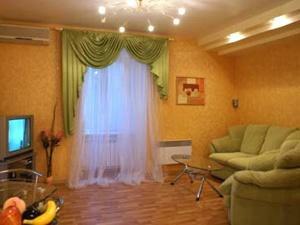 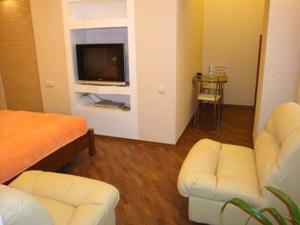 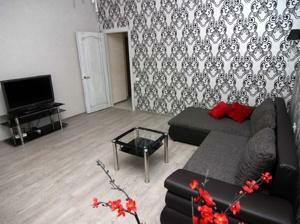 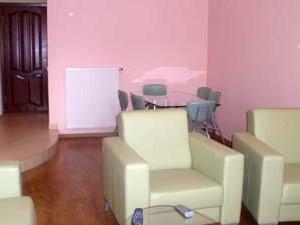 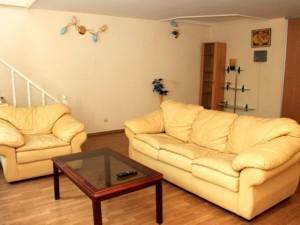 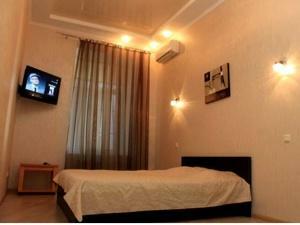 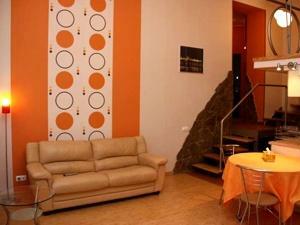 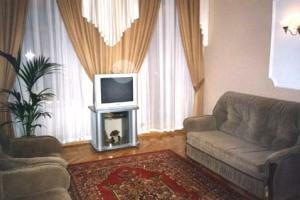 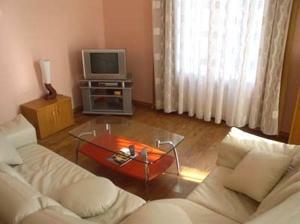 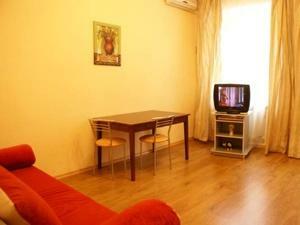 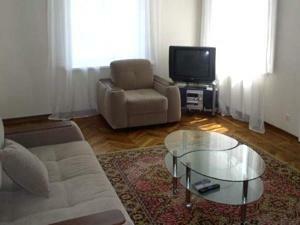 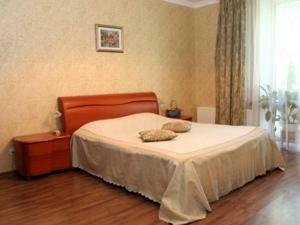 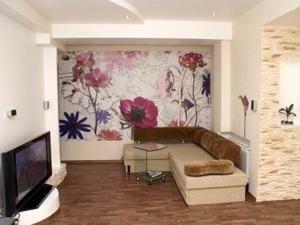 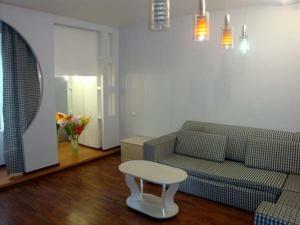 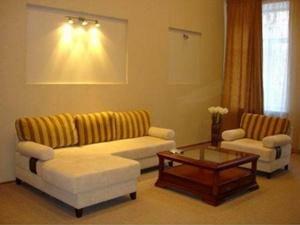 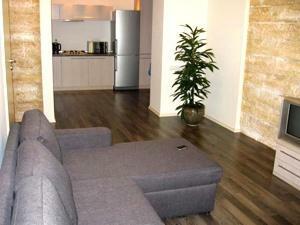 Splendid white sofa is in front of the TV with plasma disply and DVD, hanging on the wall. 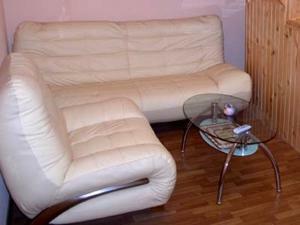 Near the sofa there is a cute glass coffee-table. 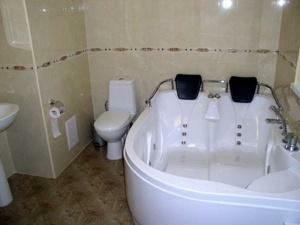 Bathroom is rather large. 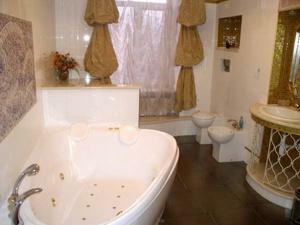 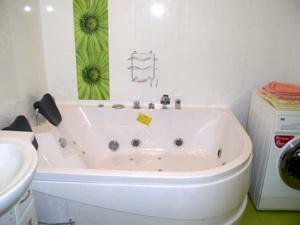 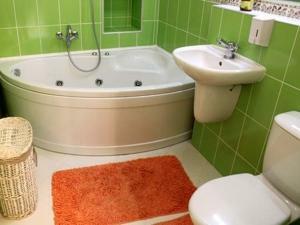 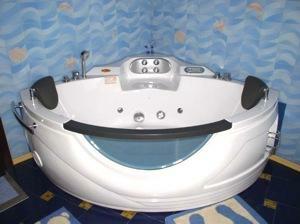 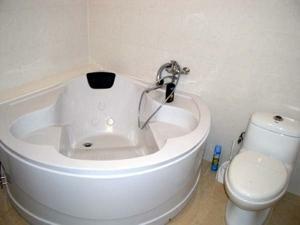 It has toilet, washstand, big mirror and a comfortable bath.